Rosenborg Castle houses one of the finest treasure collections in Europe. The castle, which was built as a summer residence in Copenhagen, Denmark, by Christian IV of Denmark-Norway in the period 1606–1634, contains, among other things, the coronation regalia, jewelry, weapons, and objects of rock crystal, hardstones, ivory, and narwhal tusk. With Rosenborg’s two oldest inventories from 1696 and 1718 as the point of departure, the present work charts the making of the treasure collection and its contents and offers a unique insight into the items of the collection in words and images. The Treasure Collection at Rosenborg Castle is the result of years of laborious research. 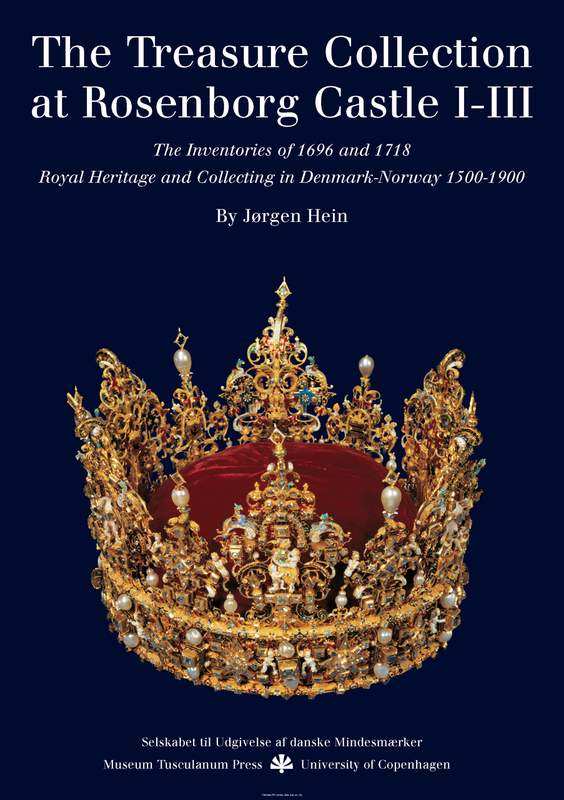 The author, Jørgen Hein, combines his immense knowledge about the items and the historical facts of the treasure collection with a vivid and engrossing narrative, and with its three exclusive volumes the work offers a fascinating foray into the world of pomp and circumstance that surrounded the Danish-Norwegian kings in the period between 1500 and 1900.